TechTest Services has recently completed the installation of Arc Fault Protection relays in substations located at Morwell Power Station (MPS), Morwell North (MWN) and Yallourn North (YN) on the AusNet Services network in South East Victoria. An Arc Flash is a form of discharge or explosion that is the result of a low-impedance connection through air to ground (or another voltage phase) in an electrical environment. 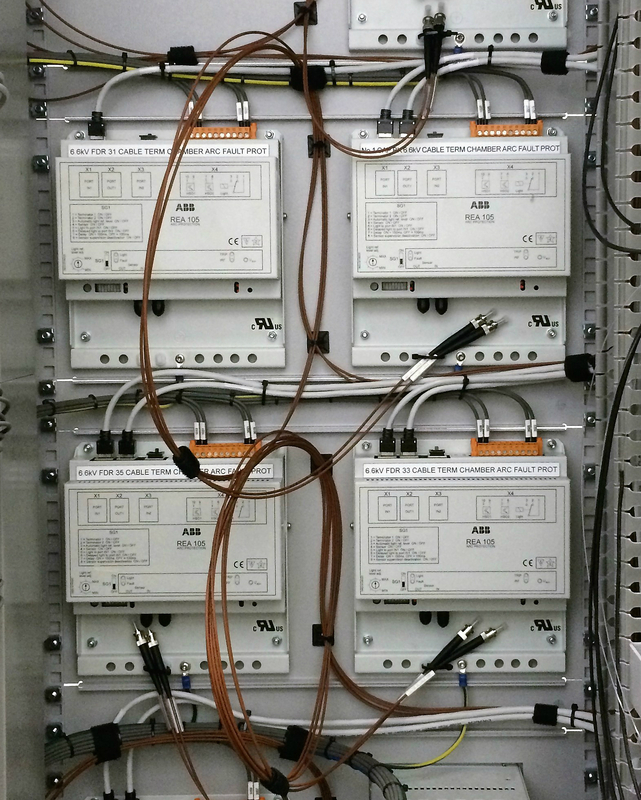 The Arc Flash Protection installed, tested and commissioned by TechTest Services assists in mitigating Arc Flash Hazards that potentially cause operator injury or switchboard damage through the utilisation of ultrafast Arc Fault Protection relays. TechTest maintained its record of zero LTI’s throughout the completion of this project. 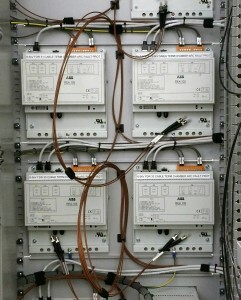 Arc Fault Protection fiber installed into ABB REA-101 relays in protection panel.